Are you a late-night snacker? While the myth that late-night eating is bad for your diet has been disproved, that doesn’t mean that all snacks are created equal. The best late-night snacks are easy to digest — carbs are good, but not too much fiber, protein, or fat — so you don’t lie awake from feeling too full. But if your late-night eating includes grilled cheese, ice cream, or gobs of peanut butter, here are a few healthier options for you. 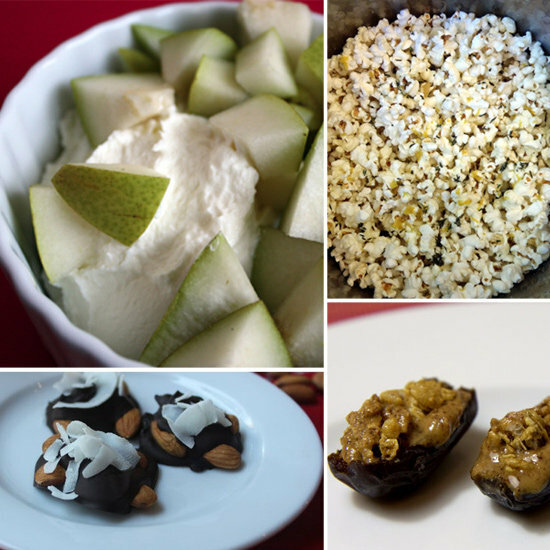 Make these ahead of time for quick snacking when the mood strikes! It may be full of healthy fats, but peanut butter still is full of all those calories. Instead, whip up a batch of this lower-calorie raisin peanut butter to keep in your fridge for when the mood strikes. 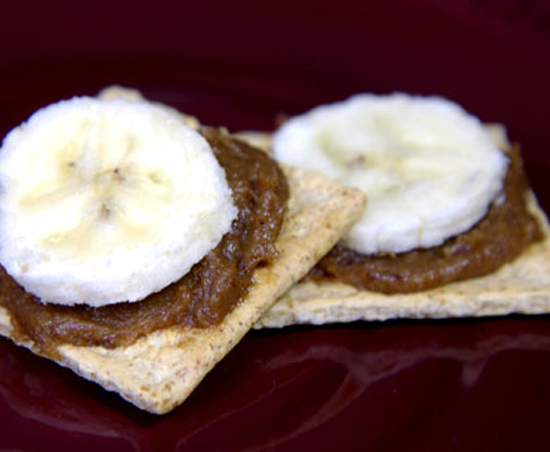 Come bedtime, top with banana slices for a filling treat. Grilled cheese may be comforting, but the calorie and fat counts can get high, and fast. Instead, fill up your late-night sandwich with lean protein like turkey, add a few leafy greens, and top with just a bit of cheese. 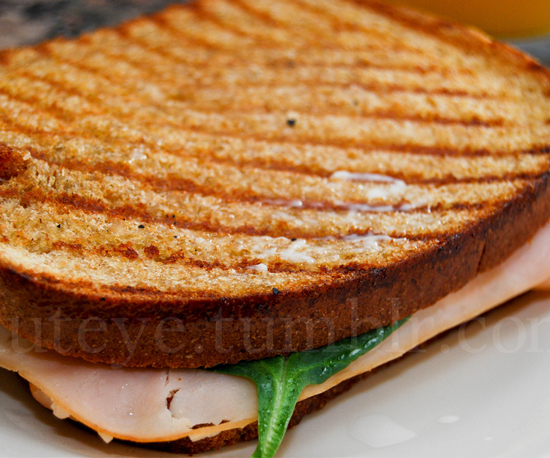 Make it panini-style, and you’ll still be able to enjoy the best part about a grilled cheese sandwich, but more healthfully. If you’re craving something salty and savory, don’t dig into a bag of fattening potato chips. 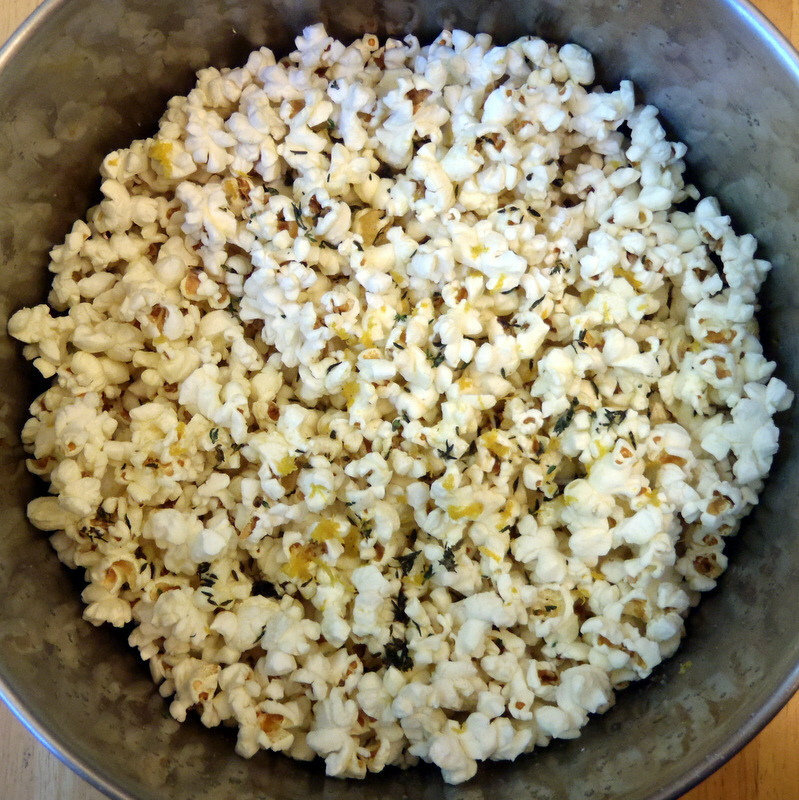 Instead, make a batch of stove-top popcorn — it only takes a few minutes and is much better for you than most store-bought bags! Once popped, sprinkle any of your favorite low-calorie toppings; a dash of chili pepper flakes or dried spices adds lots of flavor without extra calories, and sprinkling parmesan cheese on top helps satisfy buttery cravings without resorting to the high-fat, high-calorie dairy product. These strawberry banana yogurt creams are sweet enough to replace your Skittles habit without the calories. 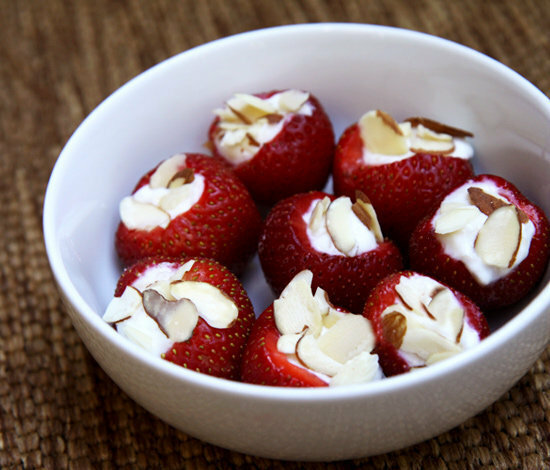 Eight cream-filled strawberries will only set you back 145 calories while still being substantial enough to satisfy. Make the prep even quicker by dipping the strawberries in the cream instead of filling them. Almond, peanut, and other nut butters are good for you, but they contain a high amount of healthy fats. That means too much can both disrupt sleep and contribute to your waistline. 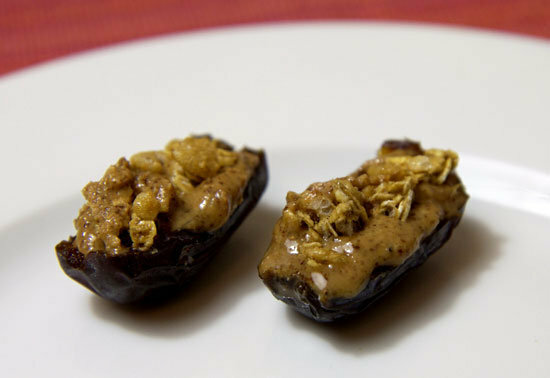 If you find yourself overindulging from the jar every night, portion control is key, so make these 190-calorie medjool almond butter halves; one large medjool date filled with almond butter and granola is all you need to feel satisfied! Craving something sweet? 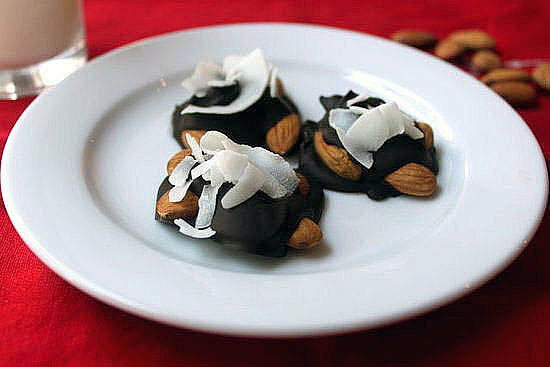 These dark chocolate and coconut almond treats are a cinch to make while you’re watching TV in the evening; then, just refrigerate for at least 10 minutes to let them set. When hunger strikes at bedtime, grab one or two from the fridge. At only 41 calories per treat, these sweets won’t undo your healthy day. Quesadillas are an easy late-night snack to make, but if you pile on the cheese, they can be an unhealthy idea if you’re trying to lose weight. 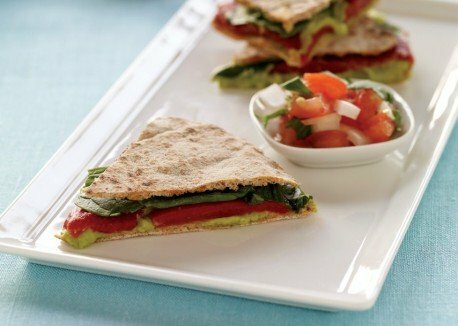 Instead, opt for this healthier pita quesadilla from Vegetarian Times; it’s made with hummus and pita bread instead of cheese and tortilla and chock-full of veggies. Make the hummus and bell peppers ahead of time so your late-night prep only takes a few minutes. Sometimes you need ice cream, but if you find yourself constantly reaching for the pint, try making a few creamy snacks that’ll still satisfy you. Top a bowl of Greek yogurt with fresh fruit, or stir in frozen berries to make a semifrozen treat. Or, keep a few yogurt containers in your freezer. At night, thaw for a few minutes and add a drizzle of chocolate, fruit, or other toppings for a quick and easy fro-yo snack. What’s better than cookie dough? One made without white flour and eggs! 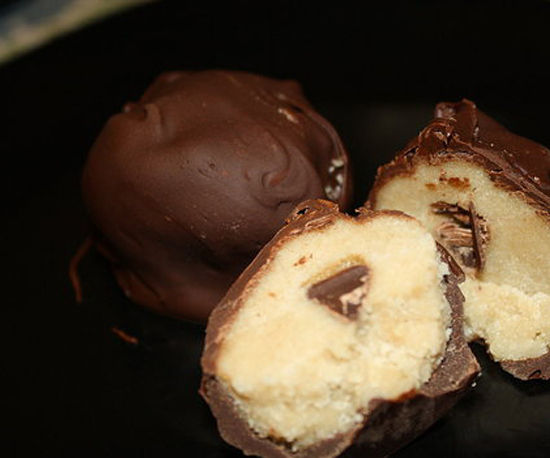 A FitSugar reader shared her recipe for healthier cookie dough balls with almond flour and chocolate, of course. 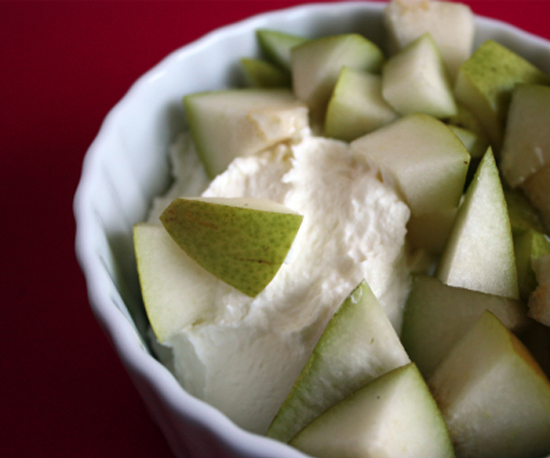 If you normally crave something sweet at night, make these beforehand and store in the fridge.